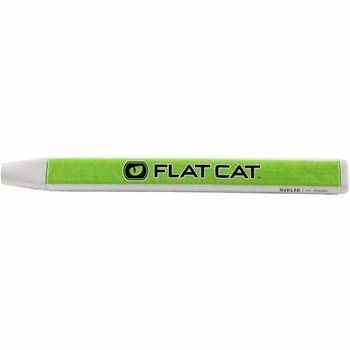 The Flat Cat Svelte putter grip features the innovative FLAT1 Design that squares the hands to the putter face and provides TRU-alignment to the intended target line to improve putting consistency and accuracy. The grip is made from a lightweight polyurethane compound to deliver a softer, more comfortable feel. The Svelte is a hybrid of the Flat Cat Slim and Standard sizes with the narrow width of the Slim with the larger flat sides of the Standard. Perfect for any golfer who wants to really feel the flat sides, but prefers a smaller grip.